Hello, summer! 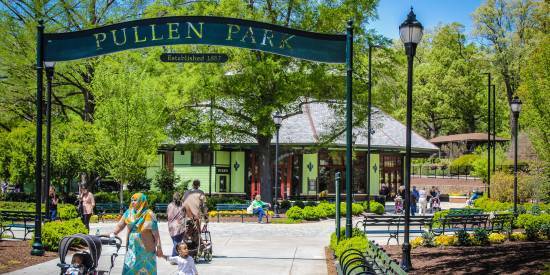 June is an incredible time to visit the Raleigh area, with tons of opportunities to do, see and explore more in the City of Oaks than ever. Our best advice? Use these long days and warm weather to the fullest by getting outdoors and staying active! For starters, you can get out on the water and explore by boat, canoe, kayak or stand-up paddleboard. You&apos;ll find lots of rental options across the Raleigh area, including options at Lake Crabtree County Park, where sailboats, rowboats and more are ready to be taken out on the 520-acre lake. 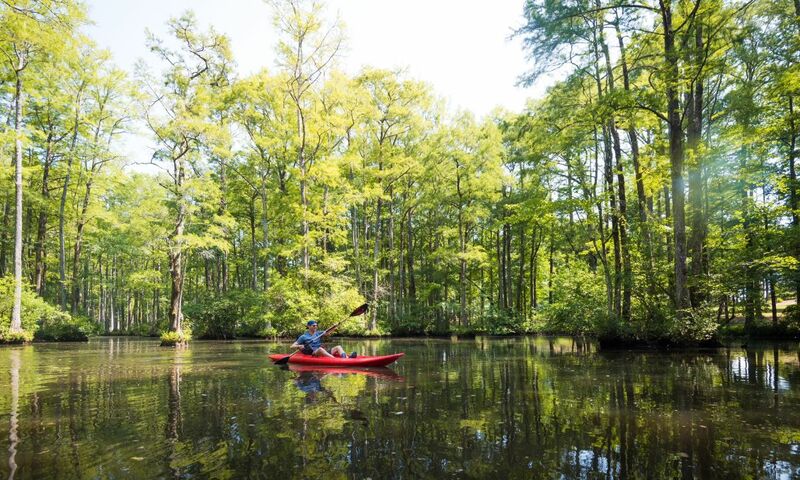 Or head just east of Raleigh, where one of the area&apos;s best-kept secrets awaits in the town of Wendell—the Robertson Millpond Preserve is a hidden 85-acre refuge for nature lovers, allowing canoeists and kayakers to float peacefully through a forest-like setting that serves as the area&apos;s only bald cypress habitat. For more options, check out our guide to getting on the water. Back on land, get ready to hit the trails—more than 180 miles of greenways wind through wetlands, cross rivers and connect to state, county and local parks across the destination. You&apos;ll want to start at the North Carolina Museum of Art (with plenty of free parking), where the Reedy Creek Trail meanders through the museum&apos;s incredible 164-acre, art-filled park, then gives you the option to head just a couple of miles west to explore William B. Umstead State Park (with 22 miles of dedicated hiking trails plus an additional 13 miles of hiking/biking/bridal trails), or head east where the Art to Heart Trail leads you to the center of downtown Raleigh. How else can you stay active here? Climb 55-foot indoor rock walls, catch some air at the largest family-oriented, year-round, BMX, mountain biking and skateboarding training facility in the world plus climb, zip and swing through the treetops in an outdoor adventure course! 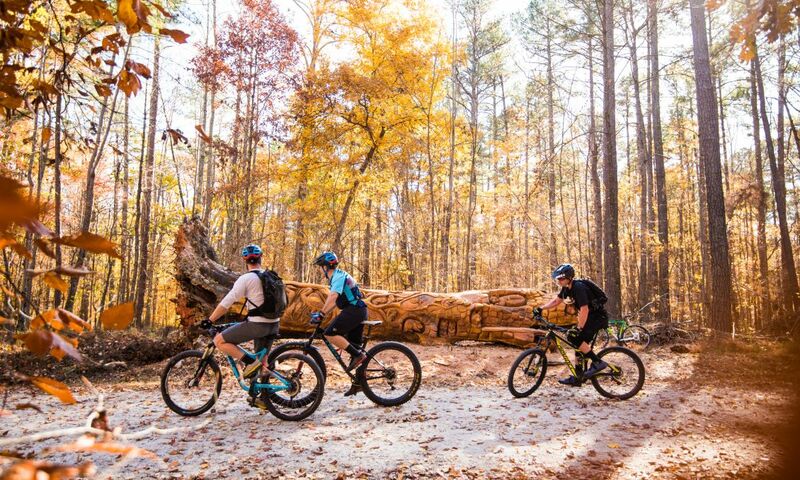 See a full rundown on fun ways to get active this summer in Raleigh, N.C., here. 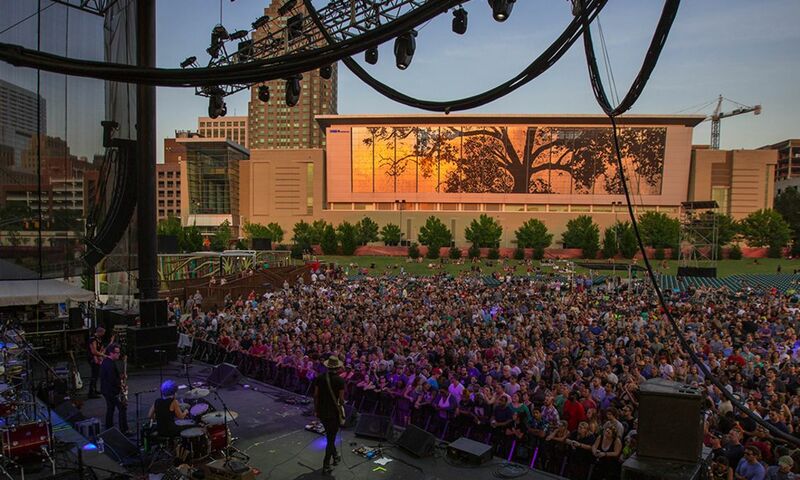 For your never-ending quest to spend as much time as possible in the sun and under the stars in the coming months, the Raleigh area has plenty of outdoor concerts and movies lined up! Music fans will flock to Coastal Credit Union Music Park at Walnut Creek, Red Hat Amphitheater, Koka Booth Amphitheatre in Cary and the North Carolina Museum of Art where they&apos;ll find big-name and local-favorite acts including Def Leppard and Journey (6/5), Khalid: The Roxy Tour (6/7), First Aid Kit (6/8), Dead & Company (6/9), The Revivalists (6/14), Paramore (6/15), Arctic Monkeys (6/16), Rascal Flatts (6/16), American Aquarium (6/23) and way, way more. Check out a full music schedule at themostnc.com! Those wanting to spend a perfect night out with the family (or looking for a relaxing date night spot) may want to pack a picnic and head for any of the nearly 50 outdoor movies being shown at parks, amphitheaters and gardens this summer. Oscar winners, family favorites and timeless classics on the schedule for June include Wonder Woman (6/8), Lady Bird (6/9), Say Anything (6/15), Jumanji: Welcome to the Jungle (6/15), Despicable Me 3 (6/22), The Lion King (6/30) and more. Check out the entire list here. themostnc.com—a Full Music Calendar for Raleigh, N.C. Taste buds everywhere are tingling with excitement over the return of Triangle Restaurant Week (6/4-10), a week-long celebration of culinary excellence designed to provide the opportunity for everyone to indulge and discover why Raleigh is a nationally-recognized foodie haven. More than 50 of the best restaurants in the Raleigh area will offer three-course, fixed-price menus—$15 during lunch, and $20, $25 or $30 options at dinner time. Been wanting to try out that place your friend was raving about? 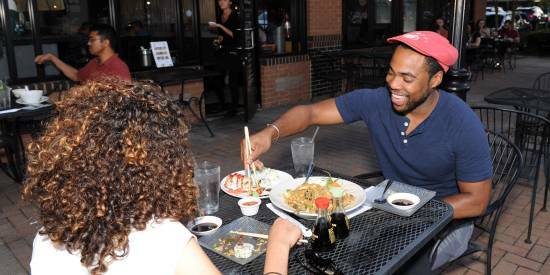 Or return for another meal at a local spot that served up something memorable last time you were in Raleigh? This is the perfect chance! Have a question or want a specific recommendation? Shoot us a tweet at @visitRaleigh! Need (a lot) more mouth-watering options? The Downtown Raleigh Food Truck Rodeo (6/10) is back with food as far as you can see—literally! Nearly a half-mile of more than 50 food trucks will line downtown Raleigh&apos;s Fayetteville St., offering up everything from lobster rolls to gourmet grilled cheese sandwiches and even macaroon ice cream concoctions—sure to make all your Facebook friends insanely jealous. 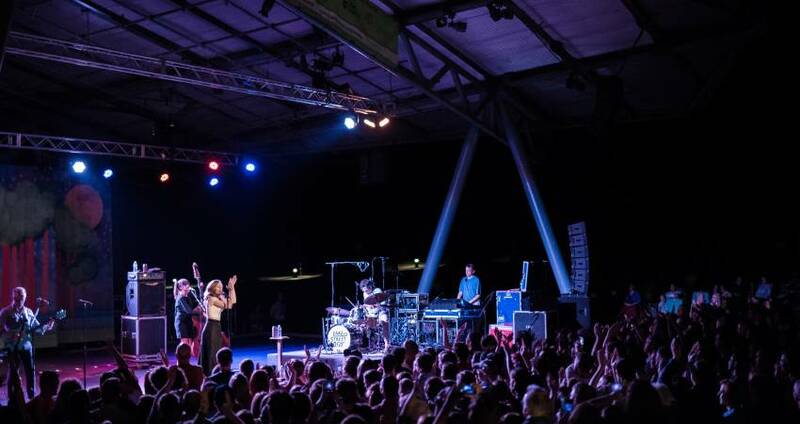 For more on what to expect at this super-popular homegrown event, read our tips before you go. In downtown Apex, the Seventh Annual Peak City Pig Fest (6/15-16) will bring in BBQ teams from around the country to compete in a Kansas City Barbecue Society sanctioned championship event. Barbecue chicken, ribs, beef brisket, pork and more will be available for purchase by the public—more than 30,000 attendees are expected! And how does a beer with sunny weather and a seat on a patio sound? Don&apos;t forget about the Raleigh Beer Trail! Print out your Passport, get it stamped at Raleigh area breweries and we&apos;ll send you some sweet prizes—cheers! Things are heating up on the soccer pitch, where the first-place North Carolina Courage (of the National Women&apos;s Soccer League) will take on the Utah Royals (6/16) at WakeMed Stadium in Cary for a special Pride Night event in support of the LGBTQ community with a portion of ticket sales benefiting non-profit group Athlete Ally. As part of the same initiative, North Carolina FC (members of the North American Soccer League) will host their own Pride Night when they take on Louisville City FC (6/23), plus they&apos;ll play host to FC Bethlehem Steel (6/2), Cincinnati (6/9) and the Ottawa Fury (6/13) this month. And of course there&apos;s no such thing as summer without America&apos;s favorite pasttime. In Zebulon, the Carolina Mudcats (single-A affiliate of MLB&apos;s Milwaukee Brewers) will take the field for a total of eight games in June, with post-game fireworks on Fri., June 8, against the Winston-Salem Dash. The Mudcats and Five County Stadium will also host the Carolina League All-Star Classic (6/19), a collection of some of minor league baseball&apos;s brightest young stars going head to head (pre-game autograph sessions and post-game fireworks included!). Just a few minutes southwest of Raleigh, the Holly Springs Salamanders will jump into the Coastal Plain League season by playing 13 home games at the North Main Athletic Complex. Batter up! A stunning display of talent, North Carolina Museum of Art’s “You Are Here: Light, Color and Sound Experiences” (through 7/22) features 20 immersive, must-see installations. The North Carolina Symphony brings high-flying, wall-crawling and Batmobile-driving superheroes to life with music from blockbuster movies at Summerfest: Superheroes Save Summerfest (6/2). The Rex Hospital Open (5/31-6/3), a stop on the Web.com Tour, brings future golf stars to Raleigh’s TPC at Wakefield Plantation. A full day of toe-tappin’ and barbecue eatin’ is set for the 4th Annual Kickin’ It Country (6/2) at North Hills’ Midtown Park. The City of Oaks will host the ultimate endurance test when IRONMAN 70.3 Raleigh (6/3) rolls into town. 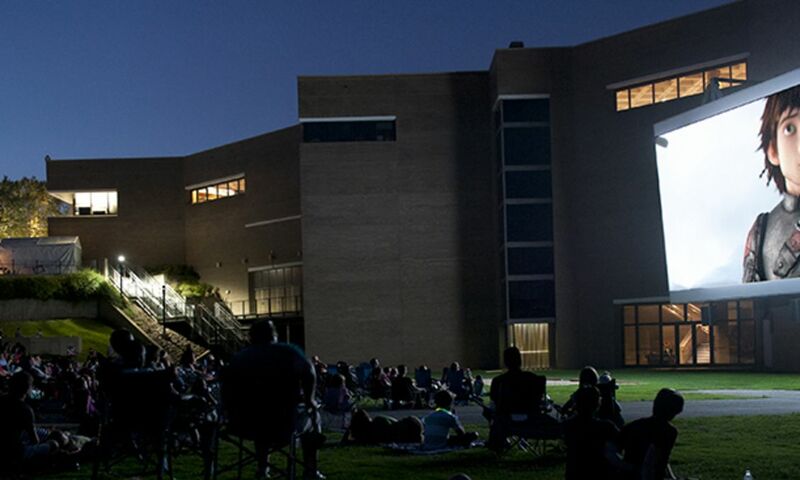 Adult Swim on The Green (6/3) is a pop-up outdoor screening event featuring unaired Adult Swim episodes and promotional screenings to go along with food, beer and games. Comedians Bryan Callen (6/7-9), Dave Attell (6/15-16) and Preacher Lawson (6/21-23) are set to perform at legendary comedy spot Goodnight&apos;s Comedy Club. 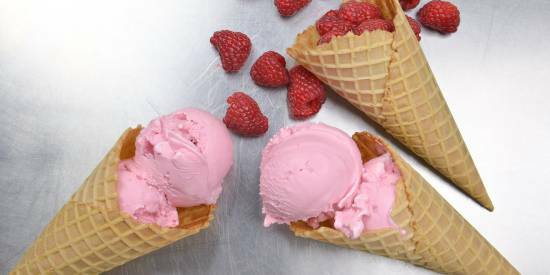 Foodies will be more than happy to help themselves to some goodies at downtown Cary’s Pimento Cheese Festival (6/9) and Raleigh’s International Food Festival (6/9). BEYOND: The Film Festival (6/13-17) will screen more than 20 short films by independent filmmakers over five days at The Cary Theater. The 24th annual Hot Rod Power Tour (6/14) is set to bring high-end hot rods, classic cars, custom trucks and more to PNC Arena for a free-admission, one-day event. Morrisville&apos;s SpringFest (6/16) will feature tons of entertainment, midway games, rides, live music and plenty of food trucks to keep the whole family busy. The USA Baseball Tournament of Stars (6/18-23) is set to bring 80 of the nation&apos;s top baseball prospects to showcase their skills in front of MLB scouts at the USA Baseball National Training Complex in Cary. A new Miss North Carolina will be crowned at downtown Raleigh&apos;s Duke Energy Center for the Performing Arts during the Miss North Carolina Pageant (6/19-23). Spraygrounds, splash pads, lakes, pools and more make for relentless family fun this summer—check out our guide to water fun here. For a full calendar of events in Raleigh, N.C., go here.